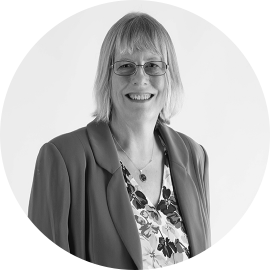 Alison is a member of the Institute of Certified Bookkeepers and joined Jacobs Allen in June 2008 as a Bookkeeper/Assistant Administrator after obtaining Distinctions in both her bookkeeping exams. To complement these considerable achievements, she worked for 19 years with Barclays Commercial, the last four within Corporate Banking as Assistant to a Business Manager, developing and maintaining a portfolio of 150+ Corporate Clients. From that experience, she is very focussed on customer service and gets immense satisfaction from making sure clients get a top notch service from us. She loves to spend her free time with her family, including her grandson (is she old enough?) and paddling her own canoe (with her husband) along the river Stour from Sudbury to Catterwade; she does this as she enjoys supporting the River Stour Trust and takes delight in their beautiful cedar strip canoe. Amongst her other interests, she is a keen ballroom dancer – move over Alesha Dixon!